Is Your Factory Power Source Corrupting Your Product Testing? On November 7, 2013 our blog asks “Is Your Factory Power Source Corrupting Your Product Testing?” this blog / white paper is a detail extension of the previous blog. This paper describes the use of AC power supplies for product testing. It will also discuss the use of regulated electronic AC power supplies to perform the various tests. General test examples are discussed as well as the parameters that are important to selecting an AC supply to perform them. Application examples are provided. When it comes to designing and testing electrical and electronic equipment, having a consistently stable source of AC power is essential. While the AC power in your engineering laboratory or manufacturing facility may be reliable in terms of availability, it may not be sufficiently predicable for accurate, repeatable testing. In addition, not being able to control the voltage and frequency may also limit its use. A regulated electronic AC supply can solve power quality issues as well as provide additional testing flexibility. Occasional power quality issues can disrupt your operations. AC mains fluctuations in a typical production facility are a result of heavy loads that vary during a typical day. In addition to voltage fluctuations and distortion there is also the possibility of high voltage, high frequency transients caused by nearby load switching, lightening, and electro-magnetic interference from faulty or improperly installed devices connected to the same line. Even under normal conditions variations of +/- 5% at the point of service are within typical power utility specifications. The actual facility distribution system wiring will also affect the voltage delivered to any individual outlet. Three phase systems may also suffer from phase imbalance due to poorly distributed single phase loads. Any voltage fluctuations at the point of testing become more apparent as the power level of the product being tested increases. Electronic supplies like the Behlman P1350 series can reduce voltage variations to below 1% over specified line and load conditions. Deviations in voltage and harmonic distortion can have a large impact on test results. When making efficiency measurements, variations in the applied voltage over time will impact results. Power factor and in-rush current measurements will be affected by line impedance. In a typical factory this impedance varies over time and with location within the facility (distance to service entrance). Varying line impedance can also be a problem when performing certain commercial product tests where the impedance must be known or measured. Use of a regulated AC supply can allow for a standardization of tests results. Product development often requires testing at operating limits or beyond. The inability to accurately measure incremental differences in design changes or to verify stated product specifications can result in a number of problems for manufacturers. In addition to potentially costly additional engineering and product delays, there could be reliability and safety ramifications. Ultimately, customer satisfaction may be compromised. The electronic AC power supply can be a useful tool for evaluation of products and sub-assemblies used in a final product. The ability to verify the performance of items like transformers, fans, relays, actuators, and other ac operated components prior to use in the final product will allow designers to weed out problem components before they reach the customer. The ability to vary the applied AC can also allow designers to conduct “what if” scenarios to push or improve existing designs. The inclusions of meters to monitor voltage, current, power, and frequency further enhance their usefulness. Just like a DC bench supply, a bench top AC power supply can be a valuable asset to any engineering or test department. Many commercial safety test standards require the application of operating voltages and frequencies above or below normal limits. Although voltage adjustment can be accomplished with tapped transformers and variable auto-transformers, they still suffer from poor voltage regulation with load and line changes. This makes adjusting the test voltage like trying to shoot a moving target. In addition, the cost of quality adjustable auto-transformers (also known as “Variacs”) has increased dramatically in recent years. Another disadvantage of this method is that it cannot vary the AC line frequency. For products intended for international sales, a frequency range of 47 -63 Hertz is often specified in IEC (International Electro-technical Commission) test specifications. For the aviation industry frequencies in the range of 360 – 880 Hz are common. Electronic AC supplies are well suited for production line testing in both large and small manufacturing facilities. They can be used to provide bulk regulated AC to test stands and fixtures. Automated control features like computer or analog control via PLCs are available to suit most needs. Control via RS-232, IEEE-488, USB and Ethernet interfaces are common. Single phase systems in the range of 500VA to 40KVA and 3 phase systems in the 1kVA to 120KVA are available from various suppliers. They range from reference quality instruments to modified UPSs. Selecting the Proper AC Power Supply for Testing Needs. Once the decision is made to purchase an AC power supply there are certain considerations that must be evaluated. Obvious things like output voltage, current, and frequency range are determined by user needs and/or third party test specifications. Although these parameters are an important first step, other issues related to the type of product being tested must be considered. Surge currents and possible non-linear currents associated with the tested products must be accounted for. Products that incorporate pumps, compressors or other motor driven loads present issues that can cause test failures due to the high starting currents required. Products with non-linear input currents can cause distortion of the AC output. Other considerations must be made based on the type of test being performed. A simple functional test requires less consideration than qualifying a product for efficiency or making power factor measurements. Certain IEC test specifications actually describe and require verification of the short circuit current available from the AC power source. This is an attempt to provide some sort of standardization so that test results can be compared. One example would be quantifying product in-rush current or motor locked rotor current. If the AC supply used does not have sufficient transient capability the test can be invalid. A high source impedance during testing can mask the true in-rush current experienced when the product is used in its intended application. The implication here is that certain tests are better served by over sizing the AC supply to provide a low source impedance. Consultation with the AC source manufacturers engineering staff can help with sizing the power source for a particular test. Special Considerations for Testing Motors or Products with Motors. AC induction motors with capacitive starting are the most common type encountered in modern single phase products. These motors are inexpensive, reliable, and create the least amount of EMI as they do not use brushes. Three phase induction motors do not even require capacitors for starting. Motors in general present difficulties for all types AC sources due to what is referred to as the “Locked Rotor Current” or LRA. The amount of current dawn by an AC induction motor is dependent on rotor speed. The applied voltage creates a rotating magnetic field. This causes the rotor to move due to magnetic repulsion. When the rotor and magnetic field are close in speed, the current is at minimum. The problem is the current required to get the rotor moving. The AC supply must overcome the friction and load presented to the rotor which drives the output shaft. This current is the locked rotor current. If the rotor were held from rotating with voltage applied, the current will be at and stay at maximum. The time period the LRA current must be applied depends on the motor construction and the mechanical load at start-up. Air conditioning compressors and liquid pumps are some worst case examples of where the start current duration can be several cycles of the AC waveform to several seconds. Motor manufacturers normally rate their product to either IEC or NEMA ( National Electrical Manufacturers Association) standards. IEC standards provide values for typical start currents for different size induction motors. NEMA tables provide this information in the form of voltage amperes during start up. This information, along with the type of test to be done, should be known before selecting the AC power source. Behlman AC supplies can be used to successfully test motors without over specifying their power rating. For a typical functional or burn in test the supply need only be rated for the continuous “run” current. Several methods could be used for motor starting that would reduce the overall continuous power requirement. Behlman also provides models with a motor test option (MT). These units feature oversized output devices that allow much higher transient currents than a standard model while maintaining the size and pricing of a unit rated to only supply the run current. All Behlman AC power supplies also provide a constant current mode. This mode will automatically reduce the output voltage to limit current while maintaining a sinusoidal current waveform. This action will allow the motor to soft start. The following paragraphs are examples of motor starting methods. This method is in common use for starting motors induction AC motors. A reduced voltage is applied to get the rotor spinning. 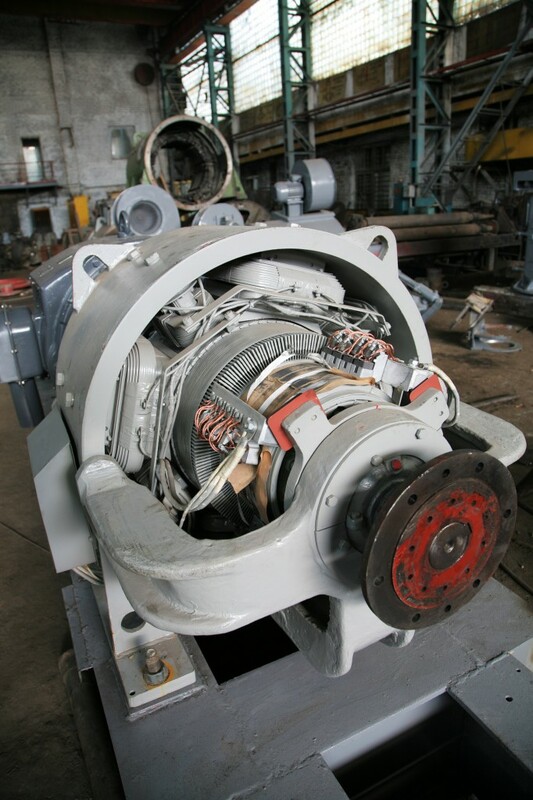 Once the rotor is up to speed, the voltage is allowed to reach the rated running value. This method works well for both single phase and 3 phase motors that do not have a substantial mechanical load at start up (low starting torque). Commercial motor starter are available and can be as simple a fixed resistor in series with the motor winding that is switched out once the motor has started. Other more sophisticated versions allow for adjustable starting voltages as well as adjustable timing. Timing and voltage levels are determined from motor specifications or empirical testing. The constant current mode provided by Behlman power supplies creates this condition automatically. This can also make testing safer as the motor housing will not tend move when started. Behlman has provided this solution to a manufacturer of vacuum cleaner motors. Their existing test stands started the motor from the line. Due to high torque during starting, the motor had to be clamped to the test stand so it would not leap or roll off during the test. The constant current mode of the Behlman model BL1350 allowed functional testing without restraining the motor. This allowed for a decrease in test set-up time and nuisance fuse tripping in the test stand. Although the start current exceeded 20 Arms when connected to the line, the 10A rated power supply was able to soft start the motor and bring it to its nominal run current of about 5 amps. For this method the test voltage is applied by connecting the motor to the supply and then causing the voltage to ramp up to the run value. This works well for applications requiring a bit more control of starting torque. This method has been incorporated into modified versions of Behlman AC supplies to allow compressors and pumps to start from smaller units than would be required by random application of the test voltage. For really tough products like high pressure pumps, the voltage and frequency can both be ramped. This is similar to what is done in VFD (Variable Frequency Drives) circuits. This method allows for controlled torque and acceleration. To perform this type of test, a supply with either analog remote control or computer remote control would be useful. Both types are available from Behlman and other vendors. Some products are designed with control circuits that do not respond well to reduced operating voltages. In addition, some motor tests do not allow for limited current or voltage during starting. One example might be a test that attempts to quantify the typical start current for a given product. In these cases, the AC power supply must have sufficient transient power capacity to get the load started. The Behlman motor test option (MT) provides this solution. These models are designed to allow a very high short term output currents for periods typically on the order of 500mSec. This is accomplished by over sizing the output amplifier devices (IGBTs in these models) and tailoring the current limit response to allow a particular starting transient. In some cases the AC supplies have been tailored to a particular motor or product. Again, consultation with the AC power supply manufacturer is a good place to begin. The figures below illustrate some of the starting conditions previously discussed. using the front panel control. Using and an electronic AC supply for product testing can provide accurate and repeatable test results. Models that provide variable frequency and voltage can also be an asset for use with product development. Specifying the correct supply for a given test is important to avoid possible costly delays and the purchase of a supply that is either too small or complete overkill. The test engineer should have a clear understanding of the product being tested and actual test requirements. Once the requirements are understood a discussion with the AC supply manufacturer should be able to pin point the correct model. Posted in AC Power	| Comments Off on Is Your Factory Power Source Corrupting Your Product Testing? While you may feel confident that the AC power lines in your manufacturing plant or design facility are reliable in terms of consistent availability, when you really think about it, you may feel somewhat less than certain that these sources are providing the power quality needed for accurate product test measurements. Even an occasional power quality problem can disrupt your operations. All it takes is sufficient deviation from norms in the power supplied from your factory’s AC main during a product test to cause obvious operational problems in the equipment being tested. The symptoms of poor power quality caused by surges and spikes, transients, blackouts, noise and sags are often readily apparent, leading to such problems as equipment failures, safety hazards, process interruptions and shutdowns. Often, though, there are more subtle fluctuations in voltage that do not result in such obvious problems. Nevertheless, these can wreak havoc on product performance and efficiency test measurements. AC-main voltage fluctuations in a typical production facility often result from the wide variety of heavy-duty machinery in use throughout the facility at different times of the day. Such varying power usage can cause large swings in voltage at a factory’s individual circuit locations, rendering them unable to provide the AC power necessary for accurate and consistent test measurements. Designs of AC motors, solenoids, levers and actuators must have predictable performance characteristics that engineers can rely on to achieve design goals. The inability to accurately measure incremental differences in the performance of each design change of a product, or to verify stated product specifications and efficiency, can result in a number of problems for manufacturers. In addition to the potentially huge costs associated with additional engineering and testing (and the resulting delays in getting a product to market), final product performance and reliability may be compromised or unpredictable, the need for repairs may increase, the product may not meet its published specs, efficiency ratings may be reduced and, ultimately, customer satisfaction will be negatively impacted. In a worst-case scenario, a good product design can be unnecessarily scrapped. The bottom line is that the right AC power supply can ensure absolutely predictable and consistent power for equipment testing, which can save a tremendous amount of time and money, as well as perhaps even the reputation of a manufacturer. With the proliferation of commercial off-the-shelf (COTS) products being offered for military use since the 1990s, it is all too easy to be lulled into believing that COTS products are always the most economical. That is not always true. For more than a decade, the U.S. Department of Defense has stressed the need to use COTS components wherever possible as a way to reduce the total cost of ownership of military systems. However, because military systems are typically required to have a service life of 20 years or more while being subject to the extreme rigors of shipboard, airborne or mobile military applications, standard COTS products that appear to be satisfactory at first may not readily meet the longevity requirements and rugged performance specifications for the task at hand. In the case of power supplies, ruggedized COTS products with some necessary modifications can be the ideal solution. They still deliver the cost benefits and streamlined development time of a standard COTS product but with the features and performance necessary for military applications. Modified COTS power supplies from qualified vendors have delivered the value and performance required by all branches of the military, in a broad range of applications and systems. The right power supply vendor will have significant design engineering experience with power supplies for military applications and whenever necessary will take a partnered approach with armed forces managers, prime contractors and system integrators to ensure that the modified COTS power supply precisely meets all performance specifications, on budget and on schedule. 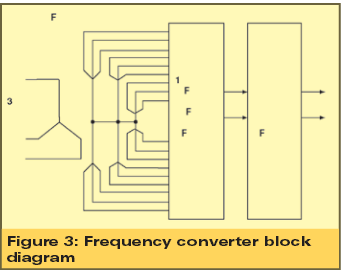 A preferred approach to designing cost-effective modified COTS AC-DC or DC-DC power supplies is to use standard DC-DC modules (COTS “bricks”), along with the necessary circuitry and mechanical and thermal design considerations to meet specifications. This approach significantly reduces non-associated costs, as well as reducing turnaround times. The importance of choosing the right vendor for this approach cannot be overstated. For example, some power supply manufacturers advertise power densities in excess of 70 watts per cubic inch. Unfortunately, upon closer inspection, you’ll find that the manufacturer’s data also shows that the advertised power density is only achieved at moderately low temperatures and at a specific input and output voltage. Oftentimes, the advertised power density figures do not account for additional necessary components needed to meet the complete power system specification, and the result is an overall power system power density of between 10 to 15 watts per cubic inch — much lower than the advertised 70 watts. Which standard module is best suited for the application at hand? What needs to be done to meet EMI requirements of MIL-STD-461? What needs to be done to meet hold-up and transient requirements of MIL-STD-704? What needs to be done to meet MIL- STD-1399 requirements? Should conduction or convection cooling be used to meet temperature requirements? Do the power supplies need to be paralleled? Is redundancy and N+I required? Which control circuits are necessary? And is built-in test (BIT) required? In addition, the power supply vendor should be able to specify the inclusion and impact of such elements as protection circuitry, filtering, monitoring and control, environmental conditions, and the physical size and weight of the finished power supply in order to produce a reliable power supply meeting all system and environmental requirements. Quality: Proudly Made in the U.S.A.
One of the first things you’ll notice on our website is an icon of an American flag with the words “Proudly made in the U.S.A.” around it. It symbolizes our commitment to excellence in the work we do as a provider of cutting-edge power electronics built using flat-out American know-how. It may sound old-fashioned, but we think it reminds us that we are part of a long tradition of dedication to American craftsmanship. That tradition of high-quality craftsmanship was once the hallmark of manufacturing in this country, and we would like to see that tradition restored. Much has been made about the Manufacturing Renaissance in the United States going on over the last few years. The trend in sourcing products recently has seen the pendulum shift as more and more U.S. companies have relocated their manufacturing back to our shores from overseas. We think the biggest reason for this reshoring movement has been due to quality work, especially in high-tech applications. And we’re not alone. Consider what the experts on this subject have to say. We think these comments are revealing. At Behlman Electronics, though, we’ve known that quality is the key to high-tech American manufacturing all along. For more than 50 years, we’ve been building the highest quality standard, modified standard, custom and COTS AC power sources, frequency converters, inverters, DC-DC, AC-DC, DC-AC, and uninterruptible power sources (UPS) for commercial, industrial, and military mission-critical applications. Please give us a call to discuss your next project’s quality requirements. We haven’t focused on VPX technology in a while, so we figured you might like to read a post about some of the things that have been going on in the world of VPX recently that have caught our eye. While there haven’t been any big announcements coming out of VITA lately, there are a couple of trends we’ve noticed that do merit mentioning. In the online pages of Military & Aerospace Electronics magazine, John Keller reports on how the ongoing pressure the U.S. military is feeling to reduce procurement costs is affecting the makers of embedded systems, especially in terms of adhering to industry standards such as VPX, OpenVPX, and VME. In his article Cost Quickly Becoming a Central Concern for Embedded Computing Backplanes and Chassis, Keller notes that in the current belt-tightening environment military decision-makers are putting greater emphasis in getting more bangs for their bucks than in standardizing their gear. Here at Behlman, we like to think that we’re in the “innovative engineering-driven” category, and we have an optimistic view of the future for VPX technology. For Behlman OpenVPX products, please go to http://www.behlmanvpx.com/index.htm. The utility of unmanned aerial vehicles (UAVs) is unquestioned. They are quickly assuming responsibility for much of the surveillance and reconnaissance work previously handled by human pilots in the armed forces. And the range of possible future applications, both in military and civilian settings, for UAVs only grows with every passing year. So, making sure that the newest UAVs come equipped with the latest in technology, at a reasonable price tag, represents an enormous challenge for their manufacturers. Take the case of the Northrop Grumman RQ-4 Global Hawk, one of the most-sophisticated UAVs in the U.S. military’s arsenal. It can fly for 28 hours without refueling over hostile territory, surveying 40,000 square miles of terrain. From a height of 60,000 feet, a Global Hawk can capture images of enemy facilities that are so clear that intelligence officials can determine the make, model and license plates of ground vehicles parked nearby. And the Global Hawk will never put the life of an American flier on the line. The RQ-4 is powered by an Allison Rolls-Royce AE3007H turbofan engine, providing 7,050 lbf (31.4 kN) of thrust, and carries a 1-ton (900 kg) payload of sensors and communications equipment. A conduction oil-cooled generator provides 78 kVA of 6-phase 124 Vac, 433 Hz to 580 Hz, to run the onboard electronics for its payload systems. Behlman provides the Global Hawk team with our BL+30 electronic frequency converter (see photo) as part of the maintenance crew’s Power Cart, used to test components of the system when it is on the ground. We’re proud to be involved in such an important effort. There are few things as complex and challenging as offshore oil and gas drilling. Imagine taking an already difficult and dangerous process and transporting it miles out into the open ocean. It is hard to navigate a modern ship in the same conditions, so taking what amounts to a floating city/factory, often taller than a skyscraper, and putting it in the middle of nowhere boarders on the impossible. Oh, and let’s not forget the billions of dollars involved in finding, let alone extracting, the oil and gas. Yet, as humanity demands more fossil fuels everyday, companies have ventured farther and deeper into the oceans of the world. To get an idea how far out to sea and how much water is beneath some of these platforms, Shell’s Perdido floats 200 miles off the Texas coast in water as deep as five Empire State Buildings. With all the difficulties and costs involved in placing these offshore rigs, there is another level of problems when it comes to powering these behemoths. Being tens if not hundreds of miles out to sea, it is not as if you can just hook up a few cables to the local power grid. These rigs contain a slew of generators, engines, and mechanical systems, all demanding a constant and reliable flow of electricity. One mistake, like a power arc, can lead to disaster far from help. One of the most important things to understand is that each offshore oil and gas drilling platform is unique in its construction and capabilities. Because of this, almost every system aboard is customized to match the needs present. If you want to learn more about the offshore oil and gas drilling process and industry we suggest starting with one of the many informational website available including this one at howstuffworks.com. These days, more and more loads connected to AC power lines draw currents that are not sinusoidal. The typical example is the AC supply for a computer. When AC voltage is applied to the power supply’s diode bridge (see Figure 1), the voltage is rectified by the bridge, and the capacitor charges to near the peak of the rectified AC voltage. The result is a current waveform containing multiple harmonics (see Figure 2). Har monics introduce a number of undesired consequences. They do not transmit power, which means they produce wasted power in the form of heat without increasing the DC power supplied. Obviously, current harmonics on the input to any unit are problematic. For low-power single-phase inputs, the ideal solution is electronic-power factor correction devices. These devices, which are available as power modules up to about 1 kW, force the input current though a pulse-width modulation (PWM) scheme to be sinusoidal and in phase with the input voltage. The design of these devices can be incorporated into any power supply; and in fact, there are many circuits available for doing so. The approach above does not work for three-phase inputs, although three single-phase converters could be used in place of a three-phase input when the input is a WYE and the load is very symmetrical. The real problem comes into focus when the power level is much higher and the input is a DELTA. Without a neutral, three single-phase converters cannot be used. However, when rectifying three-phase power, the harmonics are less than what would occur in single-phase power rectification. When a transformer is used on the three-phase input, the unit can be configured to have a multi-phase output. For instance, if the secondary of the transformer has a WYE and a DELTA, it would have the equivalent of six phases. A secondary with three sets of WYEs and DELTAs properly phase-shifted will have the equivalent of 18 phases. An 18-phase rectified output is referred to as having 36-pulse rectification since it would use 36 diodes (see Figure 3). With so many pulses, the choke becomes reasonably small and is easily realizable. Not many devices have 18-phase, 36-pulse rectification capabilities. One that does is the BL+ 120 from Behlman Electronics (see Figure 4). 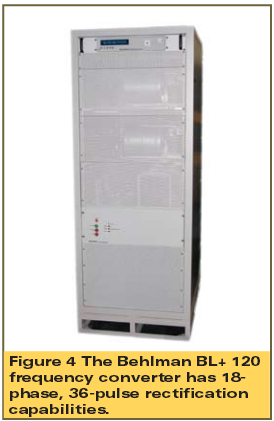 The BL+ 120 is a 120 kVA frequency converter with a specially-wound input transformer that produces an 18-phase output that is rectified and filtered for 36-pulse rectification with the resultant DC supplied to a switching frequency inverter. It can produce low-distortion sine waves from 45 to 500 Hz, and up to 2000 Hz where required. Input voltage can range from 120/208 VAC to 277/480 VAC in either WYE or DELTA connection. The unit can be controlled manually or through an optional computer interface via RS-232, IEEE-488, USB, or Ethernet. Problems caused by AC line harmonics are receiving more attention as a critical power quality concern with the growing percentage of electricity now passing through loads drawing non-sinusoidal currents. Clearly, today’s engineers must be aware of the negative impact of AC line harmonics in their systems, and of the solutions available to address problem. In our last blog post (please see Is Your Factory Power Source Corrupting Your Product Testing? ), we discussed the importance of having a consistently reliable source of AC power when testing new electrical motors. In it, we mentioned that having a special motor-test option (with fold-back/soft-start capabilities such as in the BL 1350 and BL HP lines) can save you a lot of time and money when doing production testing on consumer products. In this post, we’ll explain how and why. It is generally difficult to start motors because the peak current required to start a motor can be in the range of 3-6 times the current needed to run the motor at full load. After the peak current has just started the motor turning, there is a period of several seconds where the current falls to the run value. The problem is that if you size the power supply so that it has just sufficient capability to run the motor and load after start-up, you often find that it cannot start the motor without severe output voltage distortion or possibly even going into an over-current shut-down. If you size the power supply so that it can start the motor without significant output distortion, then you have purchased a power supply that is 3-5 times larger than what is needed for most of its operational time, which is very expensive. The ideal solution is to design a power supply that can deliver the extra, short-term current during startup but is basically sized for the long-term run current needed. In any power amplifier there are two major factors that limit the output current. The first is the peak current handling capabilities of the output devices, in this case an output insulated-gate bipolar transistor (IGBT). The second is the requirement to dissipate the internal heating caused by losses in the amplifier. There are usually two types of current-limit features built into a power supply to protect it. One senses peak current through the output device and rapidly limits the peak output current to prevent damage to the IGBT. The other senses the RMS (root mean square) output current and, somewhat more slowly, limits the RMS output current to keep the unit from over-heating. In a typical Behlman BL unit, the RMS current limit is set at about 105-115% of the rated current. A motor start sequence in a typical BL unit may go something like this: The motor is turned on. If the peak current is too high, the BL shuts off because it sees what it thinks is a short circuit. In this instance, there is no possibility that the BL can start the motor. If the BL doesn’t shut down because of the high peak current, then the motor wouldn’t start because the small initial peak current couldn’t overcome the bearing friction and get the motor turning, or the BL sees a short and just runs at zero output voltage and heats up the motor until the motor over-temperature sensor disconnects the power. The motor still wouldn’t start. The last possibility is that the motor starts turning but doesn’t get up to speed. The BL runs at full current and at some reduced voltage, but things just never get fully started. The peak current capabilities of an AC power supply are usually limited by the size of the output device, in this case the output IGBT. Behlman doubles the rating of the output IGBT in BL units with the MT (motor test) option; and, since the circuitry that limits the peak current in the output is basically part of the IGBT, doubling the rating of the IGBT doubles the peak current available to provide the initial startup load. That large peak current rating is essential to getting a motor started. The peak current gets the motor turning, but the power supply must be able to supply enough RMS current to get the motor up to speed. In MT option units, we also delay the action of the RMS limit a few tenths of a second to allow more time at a higher current before current limit restricts the output voltage. Several conditions allow this, first the larger IGBT allows more current. Second, internal heating takes some time to be a problem. Third, motors present a low power factor to the output, meaning that the internal heating of the amplifier is low compared to a resistive load of the same current. For example, a 1-HP motor is rated at 746W but would need about 1000VA to run it due to motor losses and inefficiencies. A typical BL 1350 can provide 10Arms at 120V and approximately 25-30A peak. This may not be enough to start the motor. Yet, a BL 1350 MT can provide approximately 50-55A peak and a higher RMS current for a sufficiently period to have a much better chance of starting that motor. We hope this brief explanation will encourage you to contact us to learn more about our BL Motor Test technology as an option in selecting a reliable power supply for your product testing needs. The second annual Manufacturing Day arrives on October 4, and we’ll be quietly celebrating the achievements of American manufacturers by manufacturing some of the finest power electronics in the world. It’s not that we don’t care (we do! ); it’s just that we’re busy. Just this month, we received orders for the U.S. Army and the U.S. Navy for power supply equipment that we must deliver in a timely manner. Just because we aren’t openly participating in the activities surrounding Manufacturing Day this year, we don’t want to dampen the enthusiasm around such a worthy cause. As a manufacturer, we take pride in the work we do and appreciate the hard work that other U.S. manufacturers do. Begun just last year, Manufacturing Day was launched to address common misconceptions the public has about manufacturing. “By working together during and after Manufacturing Day, manufacturers will begin to address the skilled labor shortage they face, connect with future generations, take charge of the public image of manufacturing, and ensure the ongoing prosperity of the whole industry,” the organizers wrote. Sponsors include: the Alliance for American Manufacturing, the Fabricators and Manufacturers Association, the Manufacturing Institute, the National Association of Manufacturers, the National Institute of Standards & Technology, and the Precision Metalforming Association. What modern manufacturing facilities are really like these days. What companies located in your community make and who they sell to. What kinds of jobs are available in manufacturing. What skills and education are needed to qualify for today’s manufacturing jobs. Last year, over 240 organizations hosted events in 37 states that attracted more than 7,000 visitors. This year, organizers expect to double those numbers. We wish them well in their efforts. And maybe next year, we’ll have the opportunity to join in the celebration fully.